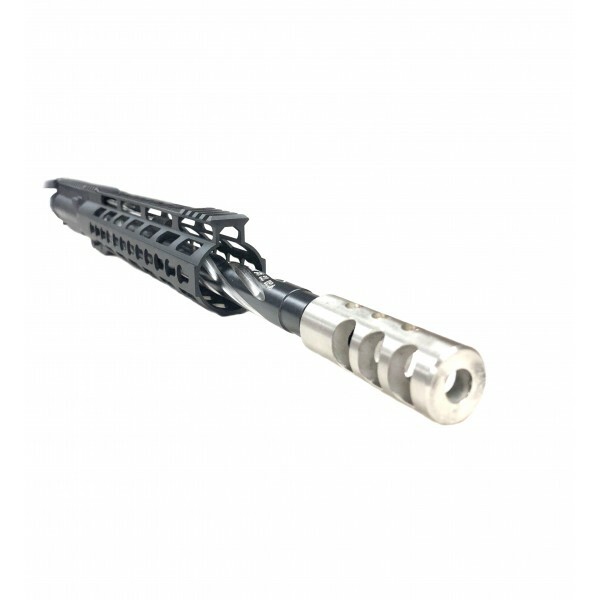 AR-15 .223 WYLDE 16" STAINLESS BLACK CLAW PREMIUM KEYMOD UPPER ASSEMBLY. Barrel - 16" 416R stainless steel hbar contour barrel. Hardened to 26-32 rc and stress relieved. Chambered in .223 WYLDE, 1-8 rh twist. Bear Claw spiral flutes. Button rifled, 6 Grooves. .750 under gas block. 1/2-28 threads. Barrel is finished off with competition muzzle brake and crush washer. M4 feedramps. Carbine length gas system. Gas system - low profile .750 gas block made from aircraft quality aluminum and black hardcoat anodized. Carbine length stainless steel gas tube. Handguards - 12" mid-length free floating slim keymod. Made from aircraft quality aluminum and black hardcoat anodized. Does not come with BCG and Charging Handle. We may have variations in rails due to stock availability, the same excellent quality.